On Sale Now! 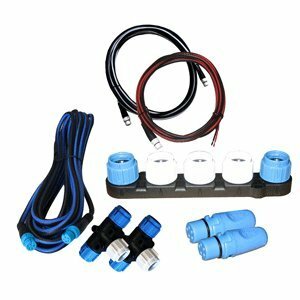 Save 3% on the Raymarine Evolution Ev-1 Cabling Kit by Raymarine at iShare Maps. MPN: R70160. Hurry! Limited time offer. Offer valid only while supplies last. Evolution ev-1 cabling kit, Mfg# R70160, consisting of 1ea. St-ng power cord, 1ea. St-ng5 backbone cable, 1ea. St-ng spur cable, 1ea. 5-Way Conn.
Evolution ev-1 cabling kit, Mfg# R70160, consisting of 1ea. St-ng power cord, 1ea. St-ng5 backbone cable, 1ea. St-ng spur cable, 1ea. 5-Way Conn. Block, 2ea. T-conn., 2ea. Terminators.